The ECO Cultural Institute in Tehran, as the representative of the Economic Cooperation Organisation, has agreed to allocate a seat to the World city of Avicenna (Hamadan) in the Austrian capital of Vienna. Mayor of Hamadan, which is home to the tomb of Persian polymath Avicenna, told a recent press conference held by the World Tourism Organisation (UNWTO) that a request for the seat had been sent to the ECO headquarters and it was approved by the body’s authorities. 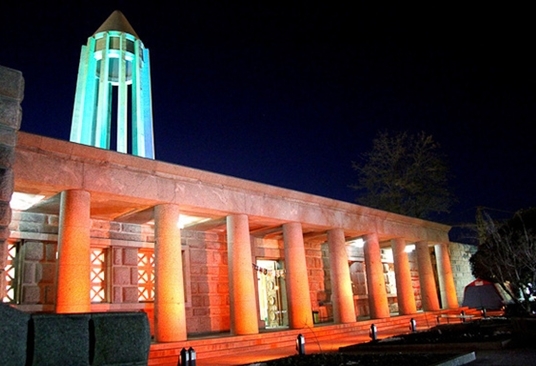 Abbas Soufi added that the decision can introduce Hamadan as one of the top cultural cities of the world. The ECO is a sub-division of the United Nations, Soufi said, adding that such international moves could be effective in the development and introduction of Hamadan. He stressed that the UNWTO is the best place to introduce the tourist attractions of Hamadan as the capital of Iranian history and civilization to tourists around the world. “We held meetings with the Austrian, Belgian, Swiss, Greek, Brazilian and Japanese ambassadors, and we held talks on developing the tourism industry in the province,” he mentioned. Last week, Hamadan was registered at the World Tourism Organisation (UNWTO) as the world’s first city, and it could be effective in developing the tourism industry in this city, underlined Soufi. Hamadan was also chosen as Asia’s hub of tourism in 2018 by the Asia Cooperation Dialogue (ACD). The 40th World Tourism Organisation (UNWTO) forum will be hosted by Hamadan from November 12 to 14 with participation of different countries. The Economic Cooperation Organisation or ECO is a Eurasian political and economic intergovernmental body which was founded in 1984 in Tehran by the leaders of Iran, Pakistan, and Turkey. It provides a platform to discuss ways to improve development and promote trade and investment opportunities. The objective is to establish a single market for goods and services, much like the European Union.